Maybe I should have figured out the wife was the killer though, this episode also worked very well as a drama and there was great acting between Keeley and the little boy I thought. Gene shooting through the glass was brilliant. Excellent music too (Japan, Ultravox, Stranglers). The little boy's birthday party scene reminded us Alex had to get to Molly's birthday. When Alex said something about the brain staying conscious for 7 minutes after dying, does she mean that or 7 seconds Huh? In E1 she said 7 coma years = 7 seconds?! There was Molly again. Why did she suddenly appear/disappear? Last edited by grim_tales on 14 Mar 2008, 15:28, edited 1 time in total. Why isn't there one for TV series in the TV forum to keep grim out of the way? No offense, grim, but I agree with Lourdes. You should open a thread for "Ashes to Ashes". I always post my thoughts about every single "Lost"-episode I have seen in the "Lost"-thread. This prevents people from reading spoilers. I have nothing against TV shows, but episode by episode is a bit much. Imagine if Eva did that with some 300 episode anime series. For some series, like Xfiles or Mushishi, reviewing every episode would be OK, as they're mostly stand-alone eps. For other series, it's best to review a complete arc, or season. Not that I'm really bothered if Grim reviews a single episode of Ashes to Ashes, tbh. It would be worse if it's Eastenders or something. That would be bad . Don't tell me you get that in Holland too? I say let people review what they like. bradavon wrote: That would be bad . Don't tell me you get that in Holland too? Cool... from now on, I'll be reviewing ALL of Brad's posts on this forum. Hmmm... Brad's post starts of with a sincerely felt 'ooh that would be bad' kinda statement, as if he can somehow imagine the troubles which would come from such a chain of events. It's almost like he channels empathy through his posts, but it's not REALLY convincing. Could use some work in forthcoming replies. Now, Brad uses a smily, but although BNB has about a zillion different useless smilies to choose from, he goes for the very unoriginal 'green smily'. I'm sorry, but that lack of creativity is gonna cost ya, Brad. Brad finishes his post with a statement, which sounds very openminded and nice, but as we all know, when such strong words come from a person like Brad, we cant take it seriously, cause we know that, in fact, he WOULD mind if people would really review EVERYTHING they want. Nice and witty. I rate your retort 6 out of 10. I just watched episode 6, as usual excellent. When Gene Hunt shoots the window, SO, SO cool. It was pretty dark before that, next weeks looks great. Who wants to bet they'll shag by the end of Series 2? . They SO fancy each other. The writing is so strong. I cannot believe it's over in 2 weeks . You win Grim I've been converted . I'll have to buy the Life on Mars: Series 1 box set. I didn't watch Series 1 so I cannot comment and I am a big fan of Doctor Who (Classic and New, although Series 3 was mostly a disappointment) but my god Series 2 of Torchwood is Car Crash TV, it is so utterly RIDICULOUS. I've not watched last night's episode yet but I am really struggling with it. Sure Doctor Who is OTT at times but Torchwood takes it to another level. The three episodes with Owen Harper being dead were so utterly rubbish. This is without mentioning the gaping plot holes in every episode. I literally find myself scratching my head with disbelief. I currently cannot decide to watch last nights and then give up or watch Series 2 until the end. I've come this far, there isn't that much left now. There is no way I'll bother with Series 3 though. It's a shame as the characters are well written but the writing is just so poor. I'm sure RTD and his possy leave the best scripts for Doctor Who. Considering the writers are the same all I can presume is RTD and Co. have much better source material to work with (which goes without saying) which manages to save them from ruining Doctor Who too. It also takes itself way, way to seriously. Something Primeval didn't, sure that is dumb too but at least it's dumb fun. RTD also cannot resist throwing in a gay kiss or emotional scene to pull our heart strings. I have absolutely nothing wrong with either of them but they're always feel so ham fisted. I've not mentioned the CGI, how could I forget? It seems to mostly work well in Doctor Who but in Torchwood it's so painfully bad at times. The episode with that huge Alien Whale creature, the CGI effects looked worse than Doctor Who from the 70s. I couldn't believe my eyes at quite how poor it looked. I cannot remember any individual episode as being decent. I can remember bits but unlike Doctor Who from last year I cannot remember one episode of Torchwood that has stuck out as particularly good. Like I said, about the best thing I can say about Torchwood is I do honestly like the characters. Primeval at least hangs together though, as dumb scifi fun. This was brilliant. Such a dark episode overall but there was some great comedy, I loved the reconstruction part (Police 5) and the part where they named all the boybands The acting was excellent, especially near the end and I felt so sad when Shaz "died", it was so sad for Chris, excellent acting from Marshall in that scene. Anyone think Gene is a protector for Alex? And what about the "How do you know I dont have any kids" bit? It was almost like Gene was implying he did have kids. This brutal but mesmerising piece of television comes to a premature end with 3 gripping episodes. terrible shame there's going to be no more,there was lots of life left in this fantastic show. It was indeed another excellent episode. I'm sad it's over next week but British writers really know how not to milk a series to keep it strong. American writers need to learn this too! It was very dark at the end of the episode, top stuff. I noticed that too Grim, maybe he has kids or once had them. Probably the best of Series 2. A massive improvement, like Doctor Who New series. They can either get it so right or so wrong. It was so nice to see a decent Torchwood episode after so long. Very strong stuff and suitably dark. When we found out where all the missing people had gone and particularly what happened to Jonah, top stuff! I wish RTD didn't stick in yet another ham fisted Gay love scene though. There is more Gay love than Hetrosexual love, please. I've nothing wrong with it when it's well placed but RTD does it way too much. For example Part 1 of the Series 1 Finale was about Jack falling in love in WW2 Britain. That episode was handled so beautifully and I believed every second of Jack falling in love. All the gay kissing now comes across as so ham fisted. I don't care if they're Heterosexual or Gay. I do care how it's depicted though. I really enjoyed this I had seen some clips before (notably the famous "class" sketch) but never a whole show and was actually surprised at how funny it was. As expected a bloody fantastic ending to the First Series. It wasn't a funny as I was expecting, although the pink tank scene was hilarious. Grim did you think Alex clearly looked like a dummy when going over the car in the tank? There's no way that was really her. The ending was bloody marvellous. So many questions answered, but so many still to answer. Did anyone else guess it was Alex's father all along and her father was the clown? He definitely knew about Caroline Price's affair. I think that's what flipped him out. But what does Arthur Layton know we don't? Definitely more. Thankfully for me I have 2 series of Life on Mars to keep me occupied in the mean time (I've just ordered a New Series 1 from Amazon Marketplace for £11.99 Delivered! ), unlike one Mr. Grim Tales 8). Absolutely phenomenal episode, easily the best yet. About half the episode is set in the future, with lots of family Kyle Reese connections shown and work camp stuff. Clearly Cameron cannot be trusted. She's definitely got an unknown motive. The actress playing Sarah Connor continues to really impress me, not only is she stunning, she's English too. I'll definitely be buying the box set of this. I didnt see this coming: GENE saved Little Alex - HUH?! How does that work? Gene isn't real - or is he? I bet we will find out Gene is actually real. I thought it would be Evan who saved Little Alex. It is a great price. It's cheapest at £13.99 from regular e-tailors. grim_tales wrote: I sort of guessed it was Alex's father all along as Tim Price and the clown are both played by the same actor, Andrew Clover. How did you work that out? We only saw glimpses of him before and never without glasses. Well spotted. I completely missed it. They don't look that alike to me. grim_tales wrote: So Evan wasnt a bad guy after all. What was Evan doing there anyway? Did he know? I see she's changed the past by Gene now being there. He was ill and thus wanted his family to be together. grim_tales wrote: I bet we will find out Gene is actually real. I bet we'll find out a massive revelation about Gene in the next series which connects to Ashes to Ashes and Life on Mars. I bet he'll be some kind of Guardian Angel. Chris was great, that was so funny. I loved the Shaz scene, nice and touching. Alex says something like "It was YOU who saved me.. but how can that be? 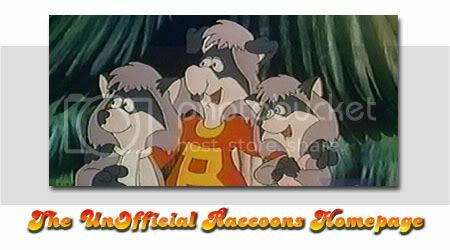 You're just a construct" or something like that, to which Gene answers "I'm here for anyone who needs me"
The Raccoons? Is there any TV program you don't watch?